Reflecting on our few days in Trebinje, it’s amazing how quickly time flies! 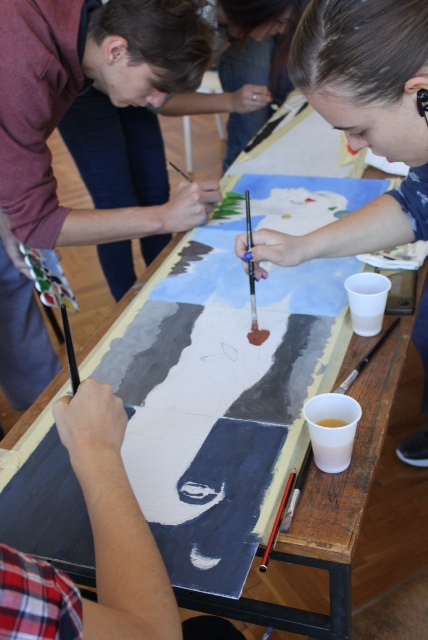 Artists in Trebinje created personal responses to Jacob Lawrence’s The Migration Series and then collaborated in groups of four to tell a story using a theme that was common among them. Some told stories about community and travel, while others explored issues of identity and fear. 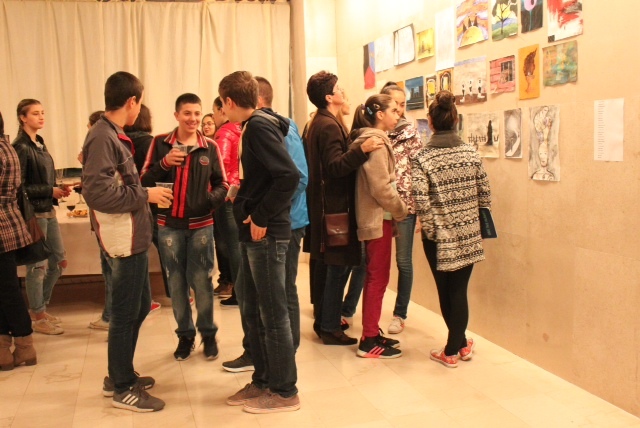 We held an exhibition opening reception at the Cultural Center and were thrilled at the turnout! Artists talked with family and friends about how much they enjoyed having the opportunity to meet new people with shared stories and common interests, and to work and learn in new ways. I’m going to miss this wonderful community of fun and experimental students, but I’m also looking forward to our final workshop in Sarajevo! This entry was posted in Experiment Station and tagged arts education, arts integration, cultural diplomacy, Prism.K12, prismk12, Teaching through the Prism. Bookmark the permalink.